Aag Se Khelenge is a 1989 Indian Bollywood drama film released on Sep 15, 1989. The film is directed by Bhaskar Shetty, produced by Parvesh Sippy. 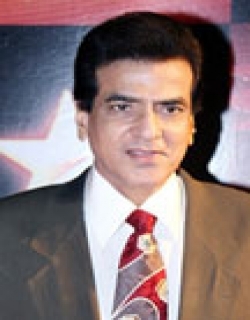 The plot starts with Shekhar (played by Jeetendra) who is a police executive. Being a police officer, he handcuffs Zaka (played by Shakti Kapoor), a terrorist by profession and boy of Zaka (played by Amrish Puri). But Zaka saves his boy and flees away from the place. 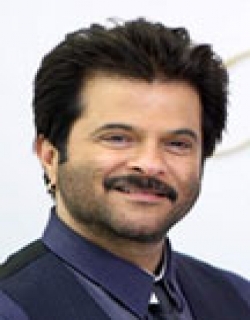 To keep him aside from police he, starts his business with a new identity, Peter recruits Johnny (played by Anil Kapoor). Johnny is supported by Barkha (played by Kimi Katkar). With many scenes taking place in the movie, Shekhar then gets to know that he is youngest bro of inspector Ravi Saxena (played by Girija Shankar). Ravi Saxena is behind Zaka to take revenge against him. Meanwhile Shekhar falls deeply in love with Barkha and Ravi with Geeta. Shekhar sis named as Suneeta (played by Archana Joglekar) gets married to the sub inspector Rakesh (played by Raj Kiran) who is a man of Zaka. The end is interesting with the killing of Zaka and Shaka. Check out this page for more updates on Aag Se Khelenge. This page provides latest and updated information about Aag Se Khelenge (1989) movie which released on Sep 15, 1989. 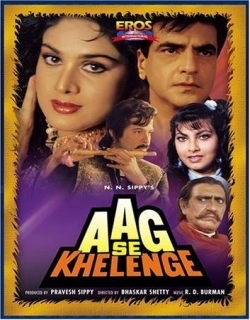 Aag Se Khelenge (1989) is directed by , produced by , starring .We have also provided 5 trailers and videos, 3 photos, 24 user reviews, and 0 critic reviews.Aag Se Khelenge (1989) has received 1.5 rating from user reviews.The overall rating of Aag Se Khelenge (1989) is 30 and movie is 1.5.You can review, like, dislike this movie and also can add to favorites. You can also find information on showtimes, CDs, DVDs, online rental, online free watching.